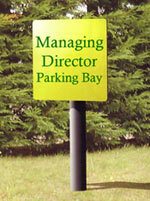 and fibreglass sign boards. 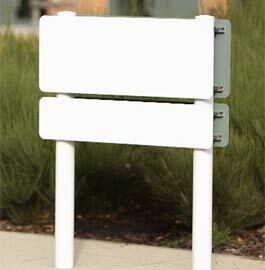 They are normally grey or white but can be powder coated to other colours. The price includes base plate and post cap. Instead of the post cap you may prefer a ball finial - see below. The standard post colours are Grey or White. 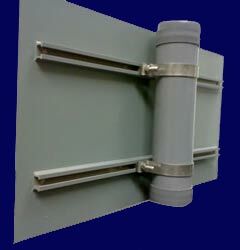 Base Plate and Post Cap included with the post cost. 1000 - 1800mm 3 channels. 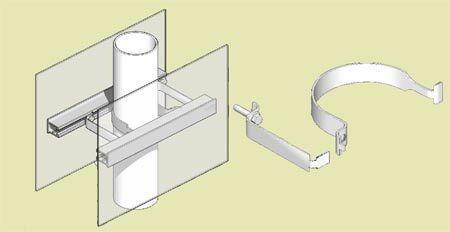 Back to back fittings also available - see image to the right. 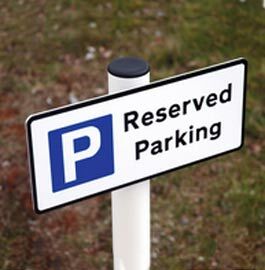 Our team at The Sign Maker looks forward to helping you with your aluminium sign with posts.